Making friends, especially in middle school, can be tough. Forming and nurturing relationships take skill, time, and effort, but it’s worth it. 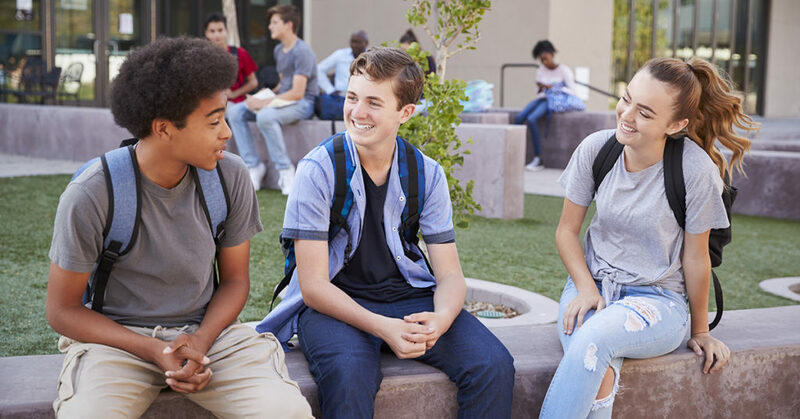 This engaging activity helps middle school students establish and build friendships with classmates in a safe way—and practice socializing away from their smartphones. Teachers and educators, here’s what you need to know for this easy 10-minute relationship-building activity. Preparation: Arrange chairs in two rows facing each other. Start by introducing the Fast Friends activity to your class with this script: Today’s challenge will help us get to know each other—fast. We’re going to take turns describing ourselves in 30 seconds or less, so start thinking about what you’d most like other people to know about you. Have the students sit in two rows facing each other. How would you describe yourself in 30 seconds or less? Have students quietly think of a quick self-description. They could include things they like to do, what’s most important to them, or what makes them a good friend. Choose one row to start. When I say “go,” everyone in the first row will have 30 seconds to describe themselves to the person opposite them. Then it’ll be the other row’s turn. I’ll tell you when it’s time to switch. Ready? Go. Start the 30-second timer. After 30 seconds, say: Time’s up. It’s the other side’s turn now. Have the students in the other row describe themselves to the person opposite them while you time them for 30 seconds. After students from both rows have participated, have everyone stand up and move one chair to the right. Students at the end of a row will move to the beginning of the same row. Repeat Steps 4 to 6, as time allows. Ask: Did you learn something new about someone in this class? What did the person say that caught your interest? Give students time to think, then call on them to tell the class their ideas. We’re adding more free PreK–8 classroom activities all the time. See grade-specific activities that align with Second Step Social-Emotional Learning for schools.